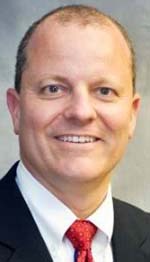 Royal Oak-based Beaumont Health has named Ed Hardin as its new vice president of supply chain management. Hardin will begin working at his new position in late October. Hardin will oversee Beaumont’s contracting, purchasing, value analysis, inventory management, distribution, transportation, shipping and receiving, record management, mail services, and supply chain analytics. His office will be at the Consolidated Services Center in Warren. Hardin previously served as system vice president of supply chain management at CHRISTUS Health Inc., in Irving, Texas. Prior to working at CHRISTUS, Hardin served as vice president of supply chain at resource optimization and innovation for the supply chain division of Mercy Health System in St. Louis, Mo. He is a fellow of the American College of Healthcare Executives. Recently, he was elected to the national board of Association for Healthcare Resources and Materials Management. He will begin his three-year term in January 2017. Hardin is a graduate of Westminster College in Missouri where he earned his bachelor’s degree. He also earned a master’s degree in health care administration from Washington University School of Medicine in St. Louis.